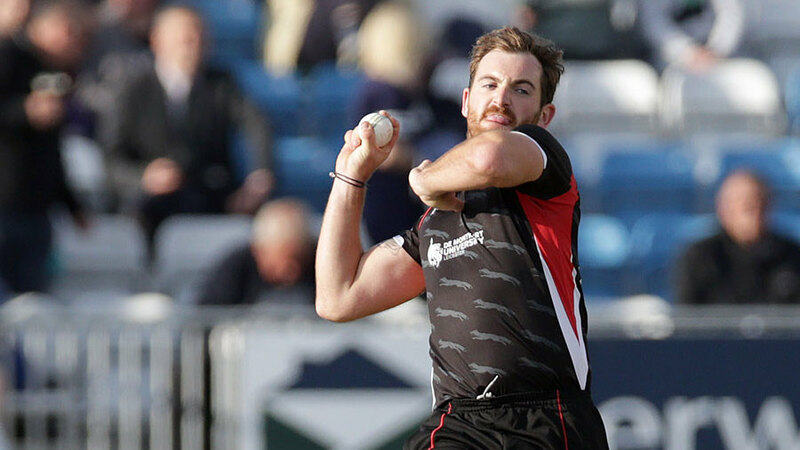 Leicestershire’s bowlers were at their best as the Foxes completed their second T20 victory of the season, beating Durham by six wickets. Asked to bat after losing the toss, Durham made a bad start when the in-form Phil Mustard edged Clint McKay’s first delivery to wicketkeeper Niall O’Brien, the ball leaving the left-hander off the pitch. In the next over Mark Stoneman missed a full toss from Ben Raine and was bowled, and Durham did not help themselves when Michael Richardson played a McKay delivery straight to Raine at short extra cover and called Graham Clark for an unlikely single. Raine’s direct hit left the unfortunate Clark well short of his ground. Richardson’s short innings came to an end when he lifted Kevin O’Brien gently to Leicestershire captain Mark Pettini at mid-off, and when Ryan Pringle was bowled by Raine, missing an airy drive at a delivery which went on to hit the off stump, the Jets were 26 for 5. In the circumstances Keaton Jennings and Callum MacLeod could not afford to take risks as they looked to rebuild the innings, and though they added 58 runs for the sixth wicket, they did not increase the run rate to more than six an over. MacLeod, feeling the pressure, tried to switch hit the medium pace of Neil Dexter and top edged an easy catch to McKay at short fine leg, and Kevin O’Brien calmly held two catches on the boundary to see the end of Scott Borthwick and Barry McCarthy, in between those two dismissals running out Jennings with a direct hit as the batsman tried to regain his ground after being sent back. Required to defend a total of just 120, Durham needed early wickets, and Chris Rushworth picked up two to give them hope, first ripping out Mark Cosworth’s off stump with the ball of the match, and then squaring up Pettini and inducing the opener to offer a simple caught-and-bowled opportunity. Kevin O’Brien pulled a short ball from Borthwick high to Richardson on the midwicket boundary, the delivery staying a little low, and when the left-handed Raine pulled another Borthwick short ball straight to MacLeod at short midwicket, the visitors were still in the game. The pitch was essentially good, however, and without the pressure of needing to score quickly, Umar Akmal (26 not out) and Niall O’Brien (33 not out) calmly steered their side to victory.